Today on Pet Finder, meet Hercules, a sweet guy that knows his stuff and is looking for a forever home where he can be your pet. He likes other dogs and kids and loves tennis balls! 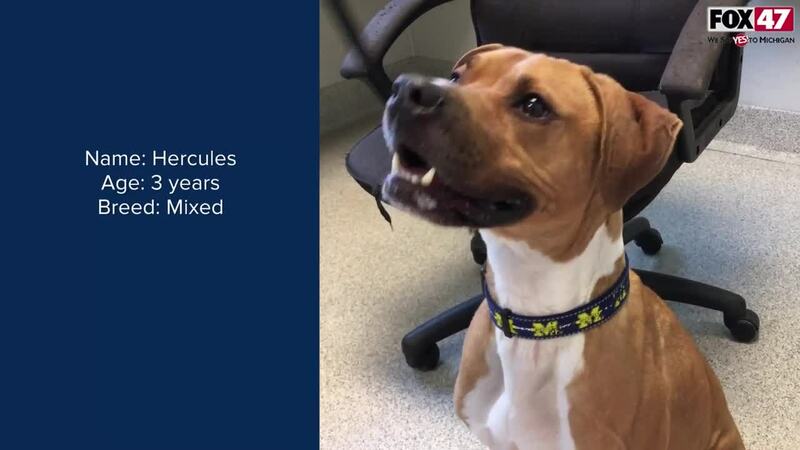 LANSING, Mich. — Today on Pet Finder, meet Hercules, a sweet guy that knows his stuff and is looking for a forever home where he can be your pet. He likes other dogs and kids and loves tennis balls! Learn more about Hercules and all of the adoptable animals on the Capital Area Humane Society Website .